The past few months I have been really focused on improving the healthy eating habits in our household. I've done the Dr. Oz 3-day detox not once, but twice and I have been trying to buy less processed stuff and more "clean" foods. Now I am not going to say that you won't find a box of Lucky Charms or a bag of Cheetos in our pantry still. This transition is a slow one, but one that I'm more and more motivated to do each and every day. Meal time is also a challenge. Mostly for me as I try to come up with new, healthy, well-balanced meals for everyone. Sometimes that means making an entirely separate meal for the kids to accommodate Ethan's pickiness (total 180 from Aiden...the kid won't touch anything that's green or has specks of black or brown in it) and/or the later time that Ricky and I tend to want to eat. It's hard to keep things new and not just give them chicken nuggets, corn and applesauce every night. I so wish I had a personal concierge who would stock my fridge with healthy groceries every week. Better yet, a family chef. 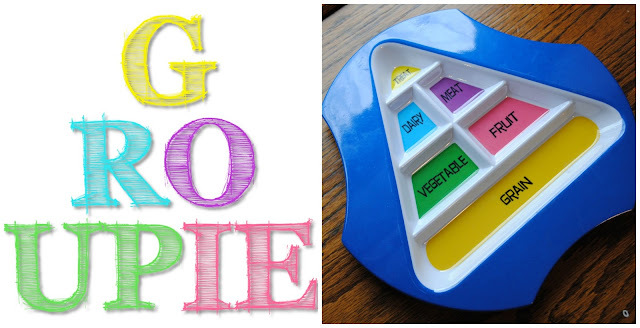 Sigh...maybe when I'm rich ;) But in the meantime, I have been introduced to an efficient tool that will help make mealtime planning a little easier for my kids. 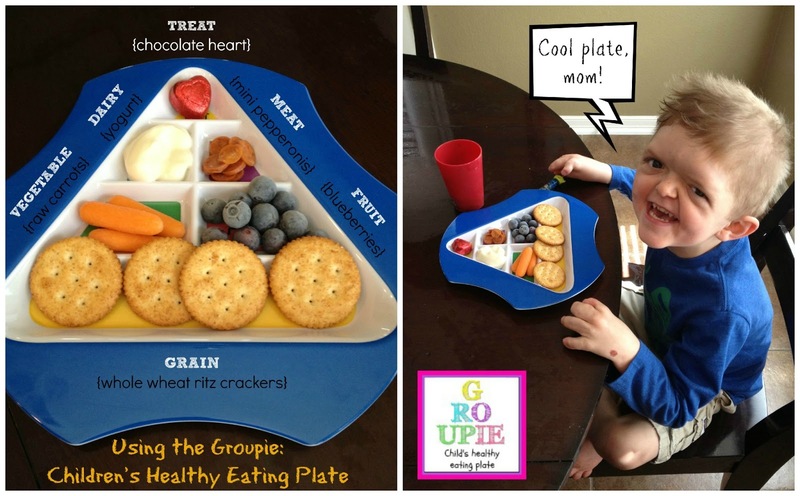 First, it serves as a reminder at meal time for the 'good eater' to continue to practice balanced habits. Additionally, it serves as a tool for the 'picky' eater and encourages balanced eating all while working toward...a small treat section. The bright colors and unique shape make it visually appealing for my kids (they argued over who got to use it first). Ethan, who is in kindergarten, was able to read the words printed in the divided sections describing what kinds of food goes into each which in turn led to an opportunity for my boys and I to discuss the different sizes of each section and why it was important to eat something from each of the food groups listed. It works as a guide as to proper portion sizes. As an added incentive for eating healthy, my boys were allowed to eat the treat only if the rest of the food was eaten first. Most of all, I liked that I was able to open my fridge and use the plate as a guide as to what to prepare for a meal. Seems easy enough but as a stay-at-home mom who makes a zillion trips to the kitchen throughout the day, it was nice to have a little "cheat sheet" to keep things in check. I am happy to welcome Groupie as a new sponsor for More Skees Please. As always, I strive to feature products and businesses that I truly believe in and feel that my readers would enjoy too! it is available on Amazon.com HERE. DISCLAIMER: Groupie is a paid sponsor of More Skees Please. I was given a Groupie plate to review for this post. Opinions are always my own and always 100% honest.